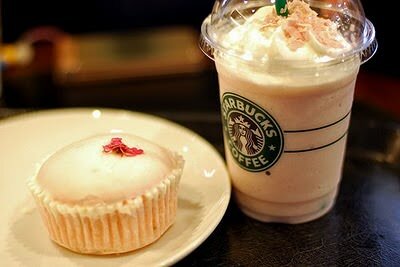 Finally, last but not least invention of the Starbucks is a beverage with aromatic flavor of Frappuccino with addition of cake batter. Isn`t that simple and original at the same time? Cake Batter Frappuccino is a mix of vanilla and almond syrup and a Vanilla Bean Crème Frappuccino. You may also ask for some variations of the drink, for example, with white mocha syrup or with hazelnut syrup instead. I wish there were sprinkles added so it would look like cakes. It is worth trying, believe me! These are just a few goodies of an uncountable multitude of things Starbucks has to offer you. The worldly known coffee house will never disappoint you but only surprise, impress and make come back again. So what would you choose? Please comment below and thanks for reading!